I decided to study geology as I have always had a love for the outdoors and enjoyed the subject during my A Levels. Southampton was my first choice as the National Oceanography Centre, Southampton is an exceptional facility and the close ties with the Oceanography course provided a number of diverse opportunities. The degree course was thoroughly enjoyable, especially as there were numerous field trips; a great way to learn, and also sociable and good fun. After a period of working for the organisation, I left to undertake a Masters Degree in ‘Marine Resource Development and Protection’ at Heriot-Watt University in Edinburgh. As part of this course, I spent a month in the Galapagos studying the impact of oil pollution on the islands. On completing the Masters, I returned to Oil Spill Response, firstly to the Consultancy Department and then into the Operations Department where I was a member of a response team that is rotationally on standby to respond to an incident anywhere in the world should one occur. 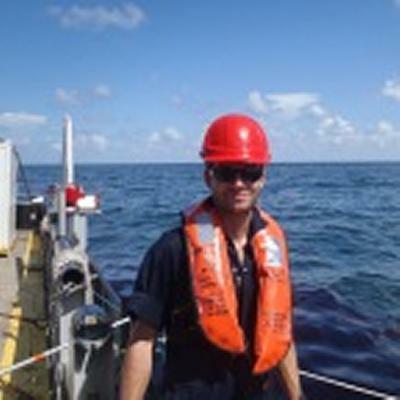 My career at Oil Spill Response took me abroad to a number of countries including some challenging locations and extreme environments, including Brazil, Gabon, Kazakhstan, Libya, Nigeria and Sudan. The company has also given me the platform to have articles published and papers presented at international conferences. In 2012 I left Oil Spill Response to join BP’s Crisis and Continuity Management department that looks across at all risks across the whole of the global business. The role was initially an Oil Spill Advisor, providing support to all businesses in terms of being prepared for a potential oil spill incident, before moving into a wider crisis management position that looks at all crises.